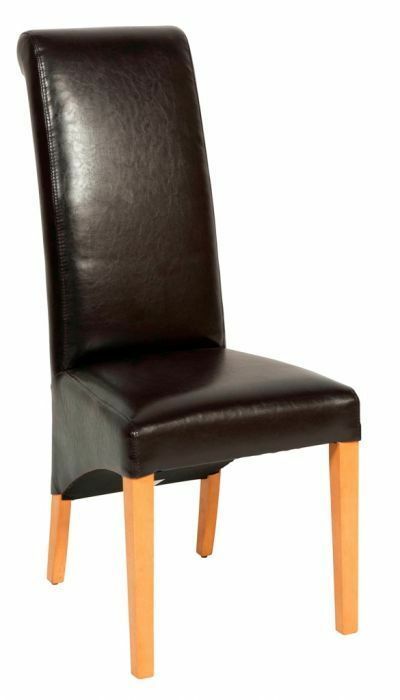 Chocolate brown faux leather dining chairs with a solid wooden frame in a Natural finish. Sleek design with a sculptured seat. Available from stock for a 2-3 day lead time. Fully built faux leather dining chair with a natural finish wood construction and extra high back for support. This range of seating sits perfectly in a restaurant or dining area with plecty of space.